Hello guys! Can you imagine a region full of lush green surroundings and numerous streams and rivers flowing through it? And mountains in the backdrop. Looks straight out of a fairy tale? Well, it is a real thing. It is called Dooars and is located in north east India. Dooars (meaning doors) is a region of floodplains which are situated north of Brahmaputra river basin and south of foothills of Himalayas. The region is 350 km(220 mi) long and 30 km(19 mi) wide and forms gateway from India to Bhutan. There are 18 such gateways in the region. 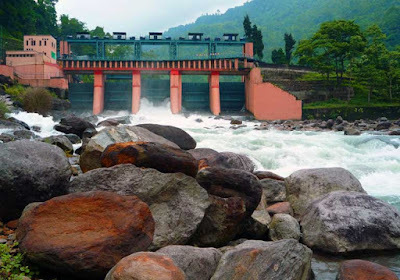 The Dooars region extends from Teesta river in West Bengal to Dhanshiri river in Assam. Sankosh river, flowing through the region, bifurcates the region into Eastern Dooars and Western Dooars. While Eastern Dooars are also called Assam Dooars and Western Dooars are called Bengal Dooars, both covering a total area of 880 sq. km(340 sq. mi). 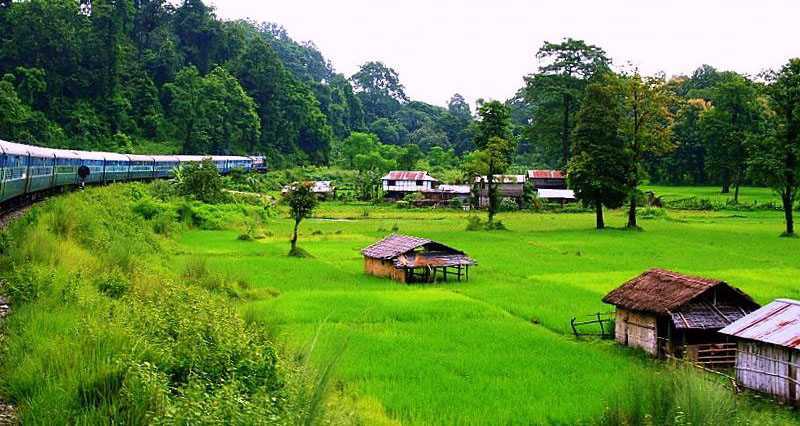 The beauty of Dooars lies in the lush green tea gardens with sparkling mountain springs cutting through them, beautiful rolling hill slopes, high Sal forests and enchanting outline of Himalayan ranges. Add to it the small but beautiful ethnic villages and vast meadows around and you have a truly dream location. Fresh cool breeze blowing across the vast tea gardens against the backdrop of blue mountains will make you feel one with the nature. Dooars is very rich in wildlife and has a very wide variety of species of flora and fauna. It has a number of wildlife sanctuaries and national parks. You will be automatically pulled by the beauty of the tea gardens here. And the taste of the tea here will surely invigorate your senses. 1. 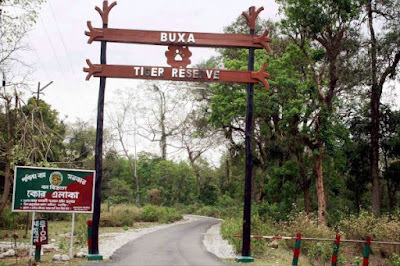 BUXA TIGER RESERVE - Located in Rajabhatkhawa and Spread over an area of 745 sq. km, it has the second highest tiger population in West Bengal. It was started in 1983 and got the status of a National Park in 1992. It is located on the Assam-Bhutan border. Buxa tiger reserve also has maximum number of elephants along with wide variety of deers, leopards, and Indian Bison. Besides, it also boasts of many species of birds and reptiles. It also has a large collection of rare medicinal plants and orchids. Several rivers and their tributaries cross the reserve which makes for breathtaking landscape. 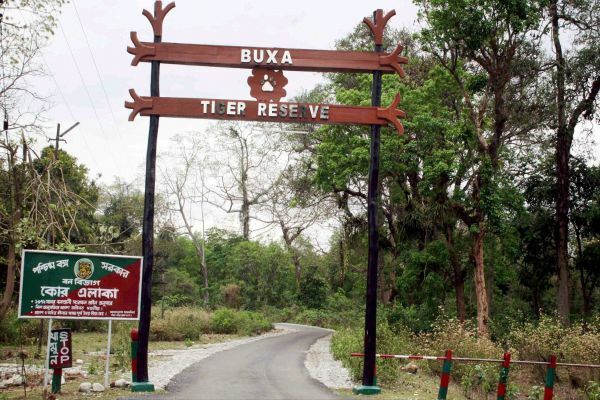 Buxa tiger reserve also has a huge variety of flora and fauna. It also forms the base for many treks in the region. How to reach - The best route to reach Rajabhatkhawa is through New Jalpaiguri, which is a major railway station and is 160 km (100 mi) away. However, you can reach Alipurduar station, which is just 10 km(6.2 mi) from the forest checkpost. 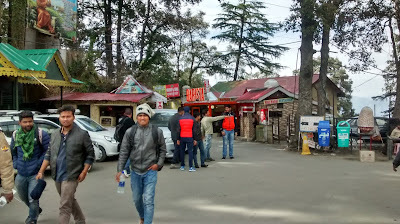 You can get all types of vehicles, including the shared ones, to reach Rajabhatkhawa. 2. 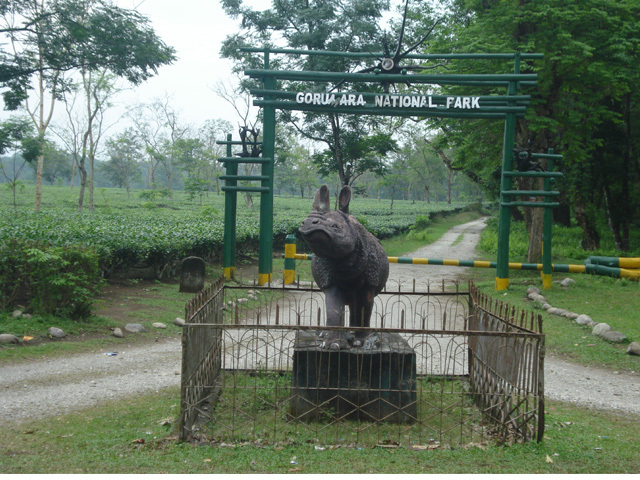 GORUMARA NATIONAL PARK - Spread over an area of 80 sq. km, this forest was declared a national park in the year 1994. The main attraction here is the Asiatic one horned rhino. It is situated on the floodplains of Jaldhaka and Murti rivers and has a large variety of flora and fona. Indian Bisons, deers, peacock, elephants and rhinos are commonly seen here. You can go for a Jungle Safari here after taking permission from the forest department. Safari is taken on special vehicles and you are required to take an authorized guide with you. To enter the core area of the forest, you need to take special permission. You can also spot leopards, Malayan giant squirrel, and rock python here. The main species of birds commonly seen here are cuckoos, pheasants, woodpeckers, minivets, hornbills, orioles, mynas etc. A few migratory birds like ibis, storks and teals can also be seen here during the winters. How to reach - It is two hours drive from nearest airport Bagdogra and major railway station New Jalpaiguri. However, the nearest railway station where some important trains have halts is Malbazar, which is 20 km(12.5 mi) away. You can drive through curvy roads and lush green tea gardens, admiring the beauty all around. 3. 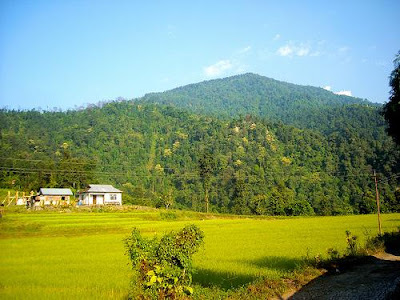 JALDHAKA - A small calm and quiet hill station, by the side of Jaldhaka River Valley, Jaldhaka is situated on the India Bhutan border. This place will provide you a relaxed getaway as well as adventure. Mountains, treks, rivers and ethnic bazaars, you will get everything here. It is an ideal place to stay away from urban jungle. A lazy place, it will transport you into an altogether different zone. There are no major restaurants or markets around here nor are there any major tourist spots. So if you are looking for peace of mind and to rejuvenate yourself, this is the place for you. The best part is that Jaldhaka has pleasant weather all through the year though winters may be harsh. How to reach - Jaldhaka is 90 km(56 mi) from Siliguri, the nearest major city. You can get taxis from here to reach Jaldhaka. 4. SAMSING - This is a paradise for nature lovers. Situated at an altitude of 3000 ft, Samsing is quite a picturesque place. As you ride uphill through the rolling hill slopes in the midst the tea gardens, the eye catching beauty all around will mesmerize you. Though the road is narrow but there is very less traffic as the road ends at Samsing. There are two forest bungalows here in the midst of forest, where you can stay. The hills in the background and a view of various streams flowing all around is a treat to watch. And the chirping of birds and the sound of water flowing noisily from river Murti around here, in the morning makes the start of the day very pleasant. 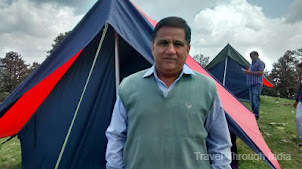 Several trek routes originate from Suntalekhola near here. How to reach - Samsing is again at a distance of 82 km (51 mi) from Siliguri and can be reached by taxis from there. 5. BINDU - It is the last hamlet of West Bengal. The road leading to Bindu is itself an experience. Situated on the banks of river Jaldhaka, it is a valley nestled between hills of Bhutan and India. The beauty of the area is enough to freshen up your mind and feast your eyes. The whole area is covered with green vegetation with hills on one side. You may encounter wildlife also on your way to Bindu. You will see Elaichi(Cardamom) and Suntala(Orange) plantations on both sides of the road as the people here are mostly engaged in this only. You can also view a few villages of Bhutan from here. 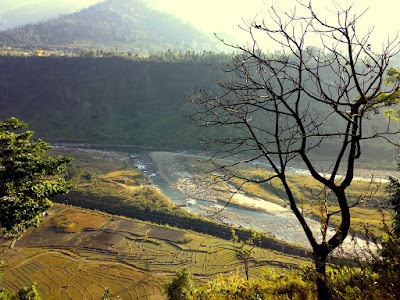 How to reach - Bindu is situated 107 km(67 mi) from Siliguri and can be reached by taxis. WHERE TO STAY - Each of the above places has decent hotels and homestays available around them. There are a few government rest houses also which are available to travelers. Dooars is not a place but a whole region full of natural beauty and wildlife along with ample options for adventure. Apart from the above, there are plenty of more places to see, which will make your experience an unforgettable one. And you can visit it any time of the year, though monsoons are very strong here. From mid May to mid August, this region receives ample rainfall. But still, it is a once in a lifetime experience. Glad I came across your blog. This is such a detailed and informative post. Thank you for writing such a beautiful blog post. The information given here are very useful to all. Your photos are absolutely STUNNING! and each of these places sound unique and stunning in their own way. Once again thank you very much. Thanks for joining the group https://www.facebook.com/groups/windiaw and we hope you have nice time and share your beautiful photos with others. nice article for travelling lovers,very interesting. I love travel very much. Thanks Anupama! Glad you liked it. Checkout many more stunning places in my other posts on my blog www.gowithvimal.com.